I'm sorry but the guys from dsmlink are shooting themselves in the foot. V3 actually looks good, but v1 and v2 are pretty elementary. I am actually about 60% done with my own setup that I have written and connected myself. I am not basing it off of dsmlink, but it will have all the features that any tuner would want. I started only a year ago, when I took my first java class! p.s. - My setup will use usb, require low computer requirements, and it will be free. Well good for you. You obviously know what your doing, but for the most part people that buy dsmlink want to learn themselves. Also part of what your paying for when buying dsmlink is the ease of use, and the awesome forum that you can be a part of. Post up your log and people will gladly help you out and whatnot. I dont think ECM Tuning's toes are getting stepped on. They only deal with Eproms ECUs. There are only so many available, not everybody can get one anyway. The only way to keep making money is to keep coming out with different and better products/services. I'm curious to see what happens with this. I understand that certain companies want to protect their niches... But the world only has so many EPROM ECUs. The ability to use OBDII Evo ECUs and maintain tunability will be a great boon to the DSM community, especially if the product is easy to install and use. I am interested. Unable to find a '95 ECU for less than an arm and a leg, I am currently opting for the F/IC-8 as a tuning option. i think you guys should start making the harness for this, im ready for one now. The race is on to see if people decode the layout of the late model 2G ECUs or go the EVO VIII ECU swap route. As you'll note some progress has been made on getting EVOflash to support the MH7202 based MD35940X ECUs. That is really awesome!! Have you tried an Evo8 O2 sensor for the front? An O2 sensor is an O2 sensor. 0-1v signal and heater circuit. His O2 code is probably due to MAF scaling and Injector scaling. His car needs a tune. I just scaled his injectors down to 450cc. The car is still using a 2G maf, by no means is it anywhere near tuned, just runs. I was ready to get out of the shop and go party. Told the OP he will need to set up something with Scott to get tooned. This is my next step. My guess is that the impedance may be different for the Evo 8 front 02 and the 2G front 02. I plan on calling up some 02 manufacturers tomorrow to get some info on this. If the Evo 8 02 has a different impedance, I'll go ahead any buy one of those and see if that fixes the issue. Once in a great while, my car is a little slow on entering into closed loop, which I attribute to this 02 issue. I'll call you tomorrow to talk more about this. I actually did some MAF scaling myself, which seemed to help overall performance, but is not changing the absurdly low voltage im seeing from my front 02. We'll talk. Hmmm.....maybe I went the wrong way with the scaling. I calculated that the difference between the Evo 8 MAF and and the 2G MAF to be about 28-30%. The original ROM was set to 357.5. I thought I needed to make it lower, so I went to 260. I'll try 450 and see if that makes any difference. ...am currently using an innovate o2 simulator off my wideband. I was just thinking of this. If the stock o2 signal isn't working, why not TELL the ECU what to see and then tune it off of the wideband? 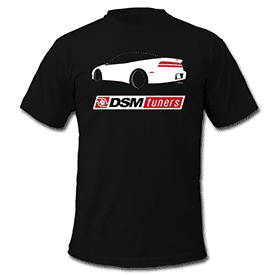 DSM=sold. Now slowly modding '10 Evo GSR! Thanks alot man, I really appreciate your help. I'll try this scaling on my ride home tonight and see if it makes any difference. Unfortunately, I don't have a wideband yet, so I don't know where I'm at during idle. Will do. I already had my MAF size set to 260. I'm curious to see if this helps. I'll try it tonight. Idle is definitely improved. Vacuum at idle is also much better now (20hg as opposed to 14-15hg before). Unfortunately, it appears to have had no effect on the front 02 issue. In fact, the voltage didn't change at all. This leads me to back to my idea that the sensor may be bad. Still throwing codes P0505 (idle issue) and P0125 (too long to enter closed loop). My front 02 is only showing 3 different voltages...0.020, 0.039 and .059. No matter what I do to the MAF scaling, I still get just those three voltages. Below are some logs of a few partial pulls. I still have the stock injectors and stock clutch, and although I have no boost controller installed, the T-28 seems to pay no attention to the stock boost solenoid and will hit 20psi if i go WOT. So until the injectors and clutch come in, this is the most aggressive pull i want to do. I'm just now starting to get some of the higher rpm knock to go away. Any other ideas about the front 02 voltage issue? if you are sure the wire is connected properly and is correct wire then i would say the o2 sensor is bad... are you sure you have the heater wires and signal wires hooked up 100% right??? maybe to verify you want to switch the rear o2 pin with the front o2 pin to verify that the ecu is reading the front at all... this is to test the port on the ecu to make sure its working then you know you have a bad o2.. I'd check to make sure that your O2 sensor is in working order. If it is, then I'd test an EVO O2 sensor just for kicks. if u are sure the wire is connected properly and is correct wire then i would say the o2 sensor is bad... are u sure u have the heater wires and signal wires hooked up 100% right??? maybe to verify u want to switch the rear o2 pin with the front o2 pin to verify that the ecu is reading the front at all... this is to test the port on the ecu to make sure its working then u know u have a bad o2.. Agreed. I plan on checking that out this weekend hopefully. I think there are fewer evo8 cars than 1995 eprom ecus. The better thing about the evo8 ecu is that there's a much better logging solution for it than for the slow 1995 ecu, right? I think the price of evo8 ecus will go up unless the DSM h8 ecu reprogramming gets off the ground. I really hope having the evo8 ecu 'swappable' doesn't slow progress of hacking the 1998-99 computers. I am really excited about this though I have to say that I somehow doubt that there will be enough demand for a wiring harness for these ecus to really make any money. How many evo8 ecus are there? How many are still in evo8s? Maybe on a limited scale of production someone might make something but only if they cost less than the convenience is worth since undoubtedly with a little bit of time someone else will play with the wiring for long enough to let the secret out. If this comes out at $90 like the wiring extensions that come from some vendors I don't see it as worthwhile (though obviously some people do or they wouldn't sell them). I can't say I like the idea of a proprietary cable at all, I expected that when GSXDNA came back we would have details on modifications but I can live. Maybe something good will come out of this and I can replace a bad experience with a good one.